Some animals at the zoo have very specialized needs that the average zoo visitor would not even consider. 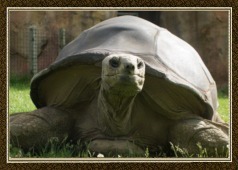 Attend a presentation featuring the zoo’s oldest resident and learn about his specialized care. Daily Presentations run Memorial Day thru Labor Day. Outside the Aldabra Tortoise exhibit in Africa!